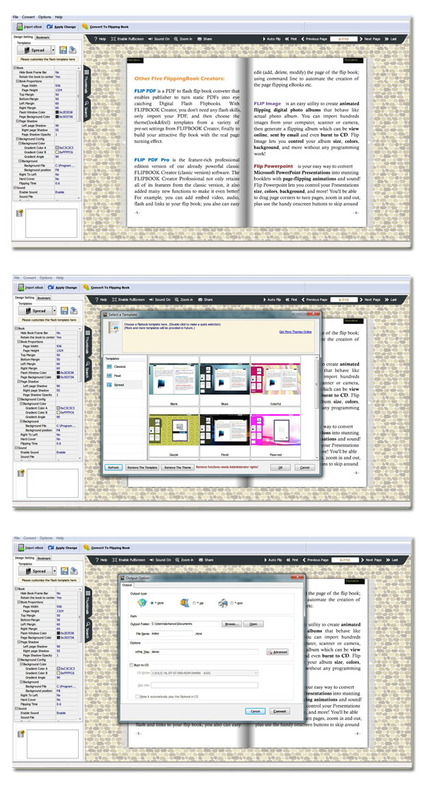 eBook to Flippingbook3D 2.0 Free Download - Convert ebook to 3D flipping format to read on PC, Mac or Mobiles! Convert ebook to 3D flipping format to read on PC, Mac or Mobiles! Last Updated: 9/20/2012 | File Size: 49406 KB | Price: $99 | Downloads: 83 | Developer: FlippingBook3D Ltd.
eBook to Flippingbook3D is wonderful eBook converter software to convert almost all kinds of ebook files to the 3D page flipping books, for easy publishing online or just distribute offline. You can use the wonderful software customize settings to design your 3D flipping book style, background skin, toolbar features, Google Analytics, password security and so on. You can publish created 3D page flipping publication online for people to easy view on PC, Mac and most popular mobile devices. Statement: First, please download the orginal installation package by clicking the download link. Of course you may also download it from the publisher's website. Using eBook to Flippingbook3D crack, key, patch, serial number, registration code, keygen is illegal. The download file hosted at publisher website. We do not provide any download link points to Rapidshare, Hotfile, Depositfiles, Mediafire, Filefactory, etc. or obtained from file sharing programs such as Limewire, Kazaa, Imesh, Ares, BearShare, BitTorrent, WinMX etc. Software piracy is theft. If you like eBook to Flippingbook3D please buy it.